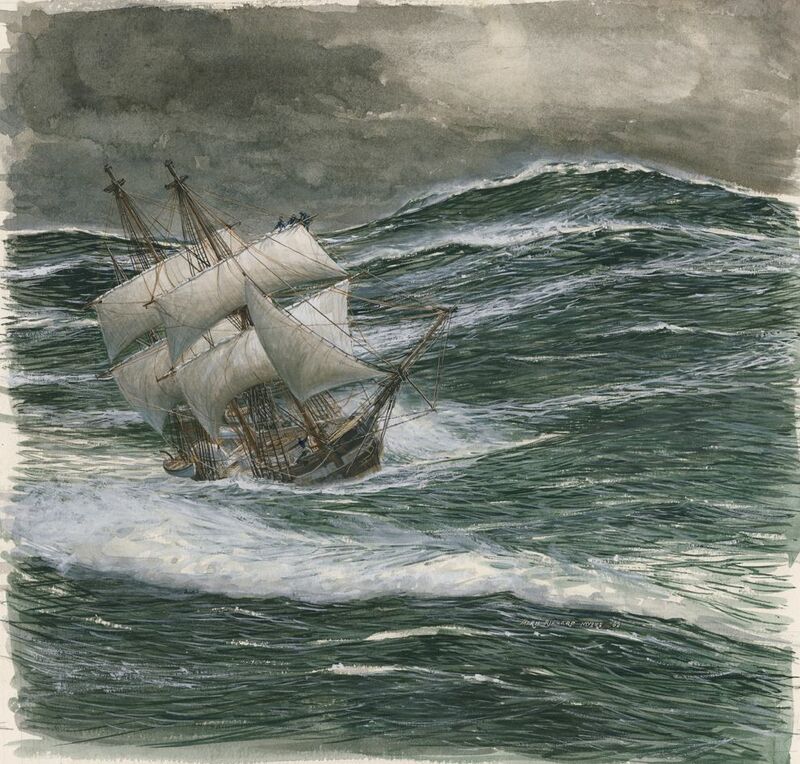 Illustration of a tall ship in a squall. Prior to the opening of the Panama Canal in 1914, ships had to navigate around Cape Horn, a perilous region at the tip of South America. This illustration depicts the Beagle, the ship carrying naturalist Charles Darwin, navigating the cape in 1826.